If research is to be believed, then cultivation of Mangoes was started nearly 4,000 years ago. A feeling of festivity is infused in summers when a meal is followed by a bowl full of Sweet Ripe Mango slices. Fresh Juicy Mangoes are used in myriad Indian, Asian and South American cuisines. 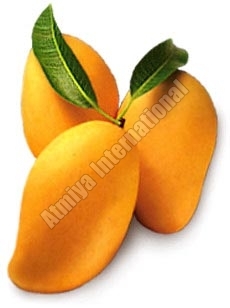 If looking for Fresh Mangoes, then Atmiya International is the name to bank upon. The company has carved a niche for itself among the trusted Fresh Mango Suppliers. We are also reckoned as a prominent Exporter Of Fresh Pulpy Mango. The company is known for its commitment to quality and can promptly cater to any order size within a defined timeframe. As competent Fresh Juicy Mango Exporters, we cater to the demand for Fresh Mango from clients across the world.